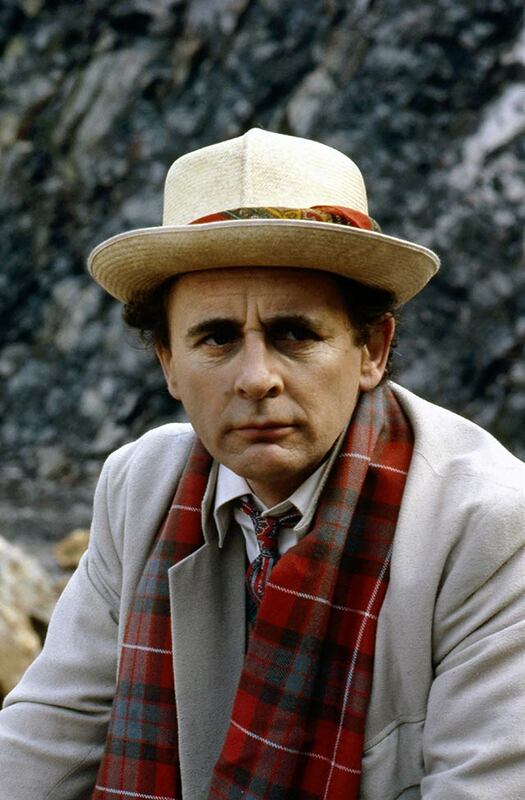 Thirty years ago, in early 1988, Sylvester McCoy was about to go into production on his second full season as the star of Doctor Who. His debut in 1987 had not been universally loved. His casting had come after the ousting of the bombastic Colin Baker, with an edict from the sixth floor to tone down the violence. The contrast was stark: many fans felt that the series had swapped body horror and violence for whimsy, without any improvement in the storytelling. Yet the twenty-fifth season of the much-loved science-fiction show would prove critics wrong (assuming they were still watching…), and McCoy’s final two seasons turned out some of the best instalments the series ever produced. Before we get to our top five favourite Sylvester McCoy stories, it’s worth saying retrospect and a distance of time allows us to assess events with more clarity. Historians vouchsafe that the recent past is the most difficult to contextualise and judge. Three decades on, we can be a touch more sober and discerning. Although McCoy’s debut in Time in the Rani is a damp squib it’s hard to find anything positive about to say (it’s not quite as bad as Colin Baker’s debut, but that’s damning it with the faintest praise imaginable) the trajectory was an upwards one. Even McCoy’s much-maligned second outing, Paradise Towers, has much to admire, and boasts the most imaginative story and best-structured script arguably since (barring only the notable exceptions of Robert Holmes-penned stories) the Tom Baker era. Taking its cues from JG Ballard’s High-Rise, Paradise Towers concerns the survivors living in a high-rise tenement building after the young men have gone to war (and never come home). Tribalism and chaos ensues. Cannibalistic grannies, psychotic robotic killers and the angry mind of an architect lurking in the basement all vie for the viewer’s attention, yet they are presented as if part of a light entertainment programme. The guest cast includes stellar names such as Clive Merrison and Elizabeth Spriggs, while main baddie Richard Briers turns in a performance so jarringly over-the-top that it somehow manages to be sinister. Filmed properly, rather than as low-rent kids’ telly, Paradise Towers might actually have been quite good… it’s the execution that lets it down. Out of the other two stories, Delta and the Bannermen is a decent runaround, with a glorious guest appearance in the first episode by the late Ken Dodd. It’s a shame it peters out in the second and third parts. Dragonfire is arguably the strongest story of Season Twenty-Four, and saw Bonnie Langford depart and Sophie Aldred come aboard. But despite the green shoots of improvement, none of the stories of McCoy’s opening gambit make our top five. This is our countdown. Do you agree? A divisive, marmite title, The Happiness Patrol makes it into our top picks on the basis of its unique storytelling and tone. It’s impossible to imagine placing it within any other era of Doctor Who, and it plays to all of McCoy’s strengths. The Doctor is back to being witty, socially concerned, riled by injustice and eccentric (the celebrated scene in which the Doctor invites a soldier to look him in the eye and shoot him is a case in point). As satire, The Happiness Patrol is muddled, since the long-standing belief is that the target is Margaret Thatcher. Helen A is a murderous tyrant (memorably played by Sheila Hancock). A divisive figure she may have been, but Thatcher won three general elections and was popular for most of that time with a majority of the voting public. In fact, the closed style of governance in The Happiness Patrol relies on informants for its power, making it much closer to the Soviet Union, which was in its death throes in 1988. That it can be argued to be an attack on both left and right indicates that the satire is broad in its application, and therefore unconvincing. Nevertheless, a superb score by Dominic Glynn that brings a melancholic blues flavour to proceedings works wonders for the atmosphere. The basic sets, reminiscent of early German cinema, help it along too. Unconvincing go-karts and static direction flatten the overall effect, and the Kandy Man villain would certainly have worked better as a crazy human rather than as loveable old Bertie Bassett, but producer John Nathan-Turner liked to have a monster. Despite all that, there are more good ideas than bad in The Happiness Patrol, and the creativity, even when it misfires, is delightful. Though perhaps they should have filmed it in black and white as originally planned? Sylvester McCoy’s final story, so also that of the final season of the original run of Doctor Who, is another unique story that still feels fresh and original to this day. It’s an indication that the ship had been turned around, and a very old series was still reinventing itself and staying fresh for its audience. The script, by serious playwright Rona Munro, is excellent, and the themes of sexuality and belonging are mature, though (for obvious reasons) not fully developed. It also features a western- and horror-influenced score by Dominic Glynn that is arguably the finest ever to be used in the show. A heatwave in the summer of 1989 meant that the location filming in a quarry – that most iconic of Doctor Who tropes – genuinely looks like an alien world, helped on its way by basic paintbox effects to redden the sky. One of the darkest, densest Doctor Who stories ever told also came in McCoy’s final season. Not a single line of dialogue is thrown away in this tightly-plotted horror story, set within a creepy old Victorian mansion. Magnificent set design, dark autumnal colours and an eerie score by Mark Ayres sustain a claustrophobic atmosphere. As a ghost story taking place within limited sets, it recalls Sapphire and Steel. Top drawer guest performances help to sell the wonderfully inventive script, which is inspired by Darwin’s theory of evolution. Ian Hogg is magnificently unsettling as Josiah Samuel Smith, and Sylvia Sims, usually so warm on screen, is deliciously icy as the stern Mrs Pritchard. Completing a triumvirate of great guest turns is Michael Cochrane as the insane Redvers Fenn-Cooper. Astonishingly, other great names such as Sharon Duce, John Hallam and Frank Windsor are also part of one of the finest ensemble casts ever assembled for Doctor Who. Having to watch the serial several times to make much sense of it is off-putting for more casual viewers, though they can still enjoy it as a slice of Gothic Victoriana. Some may be scandalised to see this great Dalek story take the second rather than first spot, but the serial isn’t without a few weaknesses, most prominently heavily-expositional dialogue placed between exciting action sequences. Producer John Nathan-Turner is often remembered for terrible decisions, but he did sometimes get it right: allocating more money to Remembrance was one such time. The bigger budget and plentiful location filming immediately make it look slicker and more impressive than the surrounding competition. With the prominence of the Doctor’s deadliest enemies mixed into a story set nostalgically within Doctor Who’s origins of 1963, Remembrance is a fantasy festival of delights for long-term fans, but crucially, also accessible to casual viewers who don’t need prior knowledge of stories from quarter of a century earlier to understand it. The lessons from the Davison and Colin Baker eras had been learnt. Sadly, they would be repeated for the modern-day remake. It’s the reason Remembrance remains a thoroughly-enjoyable yarn to this day. And the café scene with the Fresh Prince of Bel-Air butler is genius. Topping our selection is one of the few Doctor Who stories set during the darkest periods of the Twentieth Century. The First World War had formed a backdrop to Troughton’s final story, the War Games; then in the last season, the Second World War made its debut. A dark and sinister story takes in Viking curses, Alan Turing, rogue Soviet troops and the Enigma Machine. Heavy stuff for children’s television, and played dead straight by wonderful performers such as Dinsdale Landen, Alfred Lynch, Janet Henfrey and Tomek Bork. Even Nicholas Parsons, best-known for comedy, gives an amazingly powerful and sympathetic turn as a mild-mannered vicar suffering a crisis of faith. Again, such themes and ideas waited until the show was at its most mature to find expression, and they enrich it greatly. It’s because of the growing maturity, richness of ideas and strong vision that the McCoy era ensured Doctor Who went out with a bang rather than a whimper. It’s easy to argue that serials that didn’t make the top five, such as The Greatest Show in the Galaxy, deserve honourable mentions for its army of terrifying mechanical clowns – enough to send any coulrophobe into spasms of fear. But with only twelve stories to his name (not including the rather flat 1996 TV movie), there is stiff competition for the top spots. For us, the McCoy era was magical. It had a terrific CGI title sequence that looks far better and more creative than the colonoscopy of the early years of the remake. Once McCoy settled into the part and turned down the whimsy, he became a great Doctor, full of darkness and light, and interesting shades in between, mirroring Patrick Troughton, who had done such a magnificent job twenty years before after a variable start. A terrific young script editor (Andrew Cartmel) had a clear vision of the show and a desire to turn in quality; his aims were largely achieved. Directors of merit such as Andrew Morgan and Alan Wareing (who could easily have made Paradise Towers special) came in, and those factors combined to ensure that the final two seasons of Doctor Who achieved a level of artistry not seen in the show since Tom Baker was in his pomp in the mid-1970s. If you doubt us, dip in and see. You may be pleasantly surprised! For a fuller analysis of the whole of the Sylvester McCoy era, tune into irreverent podcast Doctor Who: The Complete Menagerie (Almost) for the Sylvester McCoy specials parts one and two, where you’ll hear the author discussing the era of the Seventh Doctor.